Pursuant to two recent posts on the silence in the Mass and the Canon, (one by Matthew Hazell and one by myself) here is part of what the great William Durandus wrote on the subject in his famous commentary on the liturgy, the Rationale Divinorum Officiorum. (book, 4, 35). 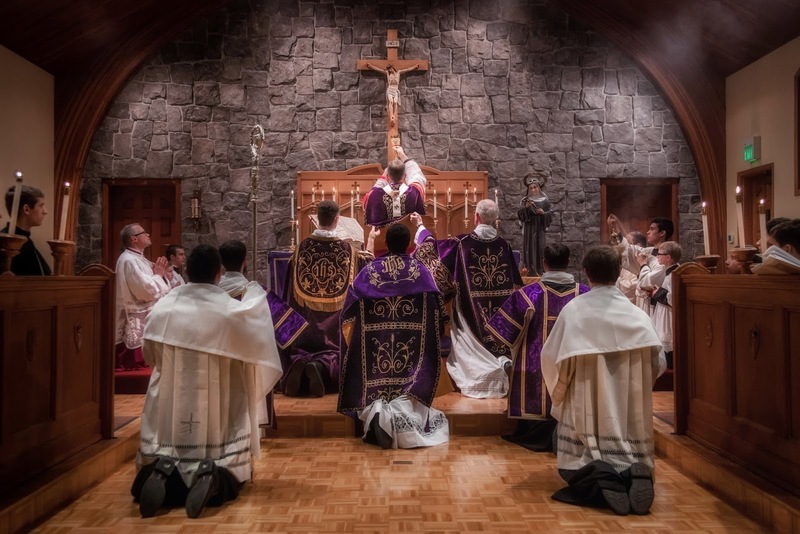 Now the Canon of the Mass is called oblation, … and action, and canon, and sacrifice, and secret. … It is called secret as something hidden from us, because so great a mystery can in no wise be fully understood by human reason, and to signify this, it is celebrated with a secret voce. … It is called secret because it is said secretly and in silence; for when Christ was to come to the consecration of His body, He prayed secretly and in silence from the hour of the (Last) Supper until He was hung on the Cross; and the secret prayers express these things. … Furthermore, as the Evangelist John describes, after Christ was honorably received and glorified by the crowds with psalms and praises, He went away and hid Himself … because His hour had not yet come, but when it did come, He went to His Passion of His own will. Therefore, this secret silence represents Christ’s lying hidden, in which intent devotion is directed to the Lord alone. For then the priest must enter into the chamber of his heart (Matthew 6, 6), and closing the door of his bodily senses, pray to God the Father, who hears the cry of the heart, not of the voice. To this I would add one note, in regard to his words “lest the priest’s voice fail.” Christian worship has always tended very strongly to either sing or keep silent, as a reflection of what Scripture itself says about the heavenly liturgy. The Canon is too long to sing; the option to sing it has been available for about 50 years, but is to all intents and purposes a dead letter. Almost no one does so, and it is clearly never going to become a common practice.